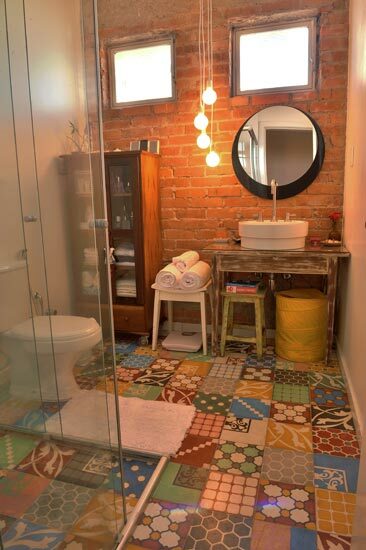 Ok, I don't think the above bathroom would fit in a super tiny house but it's cute! what are your Tuesday tidbits? So, my Papa (aka. dad) happens to be pretty darn handy! I think he could pretty much make anything. Since I was first born, (aka. the oldest) I had the privilege of learning how to use a hammer from a pretty young age. I always felt super special when I was down in the basement (aka. my dads make shift woodworking studio when I was little) with my papa going about our important business of building something. Many a time he would put on a mama's and papas record and hand me a hammer, some wood and some nails to play with while he worked on something important (aka. a gift of some sort for my mom). When I was about 6 or 7, he decided we should make a little play house. Ok, maybe that little play house doesn't look very cool to you, but keep in mind it's at least 20 years old, maybe older. I'd say it's held up pretty darn well. It's super small, and now my parents use it to store lawn chairs in, but keep in mind this neat little play house was made with love and is my dads handy work, with help from my sister Ann (aka. my minion (I wonder when she will call me out for calling her a minion?)) and I. Take note of the attention to detail! My dad made that cute little heart! So this was my first experience building a tiny little shelter, I got to help hammer together the floor and I distinctly remember helping roof the little play house. This little play house is really getting old now (I guess that means I am too!). You may be able to see the dent in the top? That's where a huge limb fell on it this year actually cracking one of it's boards right down the middle, but it's a solid litttle play house and it's going to take more than a limb to destroy it. 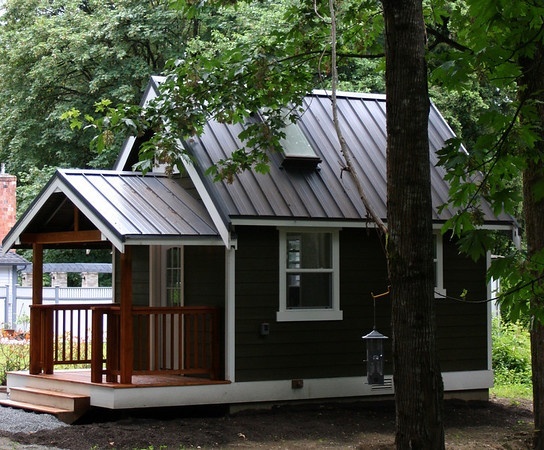 I still think I'd like to build a tiny little house and go off grid, so maybe this was a good start, but now I'm looking to make something I'll actually be able to live in. You'd also better believe I'll be employing my Papa's expertise to build my tiny house. Happy 5th of July to you all. Hope that you all had a happy weekend!